Just Announced! Chicago Christmas with Hamilton! Experience the show everyone is talking about! Front Mezzanine seats to the Broadway Show Hamilton, accessible by the elevator, at the Historic CIBC Theatre! Click the Hamilton photo above or link below for detailed information regarding our Chicago Christmas with Hamilton Tour! DON’T WAIT! Seats will go fast! This entry was posted in Latest Tours and tagged Bus tours from Iowa, bus tours from Nebraska, Hamilton, Moostash Joe Tours on May 24, 2018 by Moostash Joe Tours. Featuring morning viewing from your very own blind on the Platte River! The most inclusive Sandhill Crane Tour out there! Experience one of the greatest wildlife migration spectacles up-close-and-personal in multiple special viewing areas, including a blind on the platte river! This brand new bus tour from Nebraska for seniors and the whole family will introduce you to the areas top restaurants, most unique attractions and the best opportunity for those spectacular photos! First of all, it’s hard to beat witnessing thousands of sandhill cranes waking up from the safety of the river and taking flight, where they’ll spend the day in the nearby fields. Pair that with the area’s history and educational opportunity at the Crane Trust Nature & Visitor Center, as well as great accommodations at the Fairfield Inn & Suites and the area’s most delicious food and you’ve got an experience you’ll never forget! 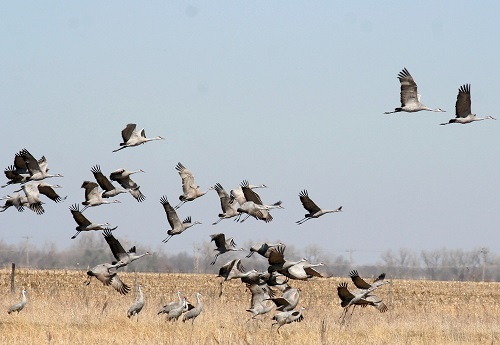 Click the Sandhill Cranes above for detailed information, including a day-by-day itinerary! Anytime we get the opportunity to show off our great state, we run and never look back! We wanted you to experience Western Nebraska like never before, including some places you may never have heard of or just haven’t had the time to visit. All of the neat, local stops we make. Some things you just can’t do on your own! We also love that EVERY SINGLE MEAL is included! Joey and John Spellerberg recently returned home from Charlotte, NC and the American Bus Association’s (ABA) annual Marketplace! For the first time in Moostash Joe Tours history, they had two booths! Which means they both took appointments with all kinds of destinations and attractions from all over the U.S. It was a very productive week and they both came away with some great ideas and many other improvements. All to keep Moostash Joe Tours as a leader with the best itineraries and most value for your money. Click below for a sneak peak on a new tour at the end of 2018! This entry was posted in Latest Tours and tagged bus tour, bus tour from Nebraska, bus tour from Nebraska for seniors, sandhill crane on February 8, 2018 by Moostash Joe Tours. This entry was posted in Latest Tours and tagged Moostash Joe Tours, sandhill crane on February 2, 2018 by Moostash Joe Tours. Limited Availability! 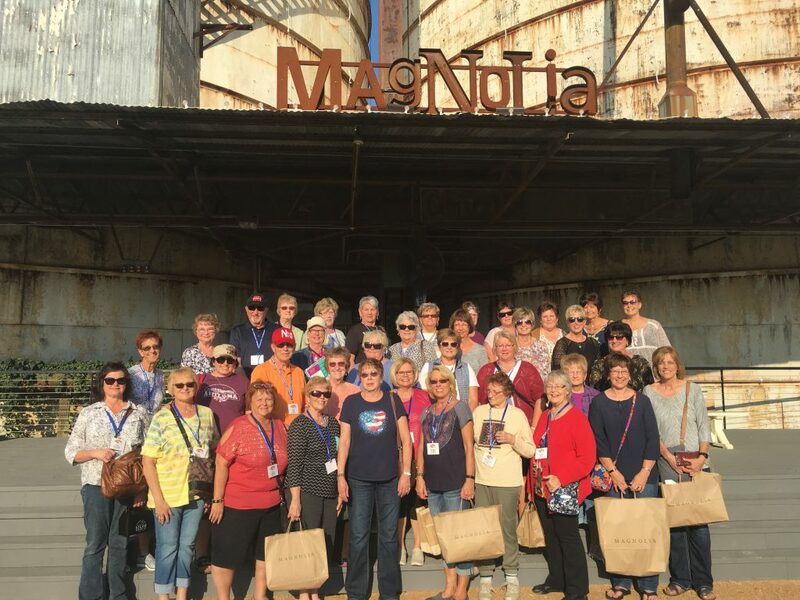 Back for 2018… Waco, Texas and Magnolia Market at the Silos! Three Ideal Bus Tour Dates: April 18-22, April 25-29, May 2-6. Includes “Fixer Upper” Driving Tour, Pioneer Woman’s Mercantile and much more! Click the picture for more details – you do not want to miss this one! This entry was posted in Latest Tours and tagged bus tour, Magnolia, Silos, Texas, Waco on January 5, 2018 by Moostash Joe Tours.